Some of our readers might remember the original 3Doodler 3D printing pen that launched over on the Kickstarter current funding website back in the first quarter of 2013. Now the same team at WobbleWorks is back after initially raising $2.3 million for their first 3D printing pen with the 3Doodler 2.0 offering a slimmer and lighter design which is now even easier to use. 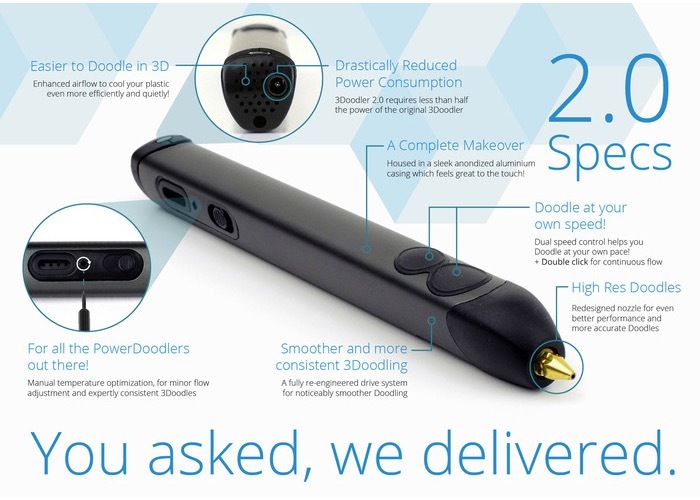 Check out the video below to learn more about the latest incarnation of the 3Doodler printing pen. “When we first launched 3Doodler we asked the world to imagine a pen that you could literally lift off the page to create real three dimensional objects; a pen that put the power of a 3D printer in the palm of your hand. Two years later, we’ve made the world’s best 3D printing pen even better, with a new version that’s slimmer, lighter, quieter and even easier to use. Oh, and just like the original 3Doodler, it’s still by far and away the most affordable way to 3D print. 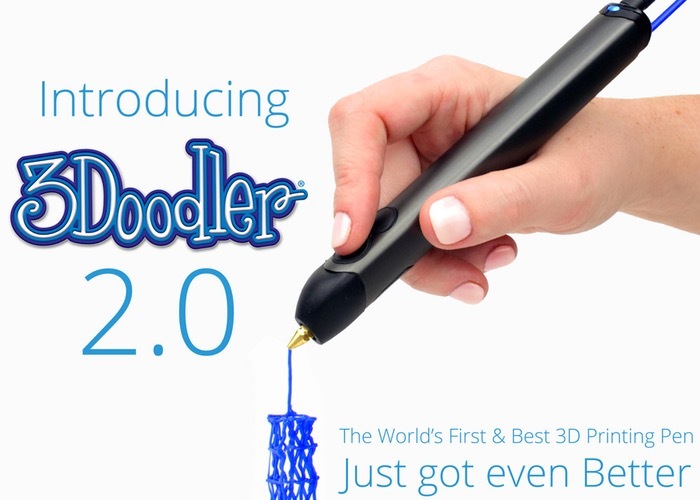 With 3Doodler 2.0 we’re continuing to make 3D creation and 3D design accessible to everyone! So if you think 3Doodler 2.0 is something you could benefit from, visit the Kickstarter website now to make a pledge and help 3Doodler 2.0 become a reality via the link below.